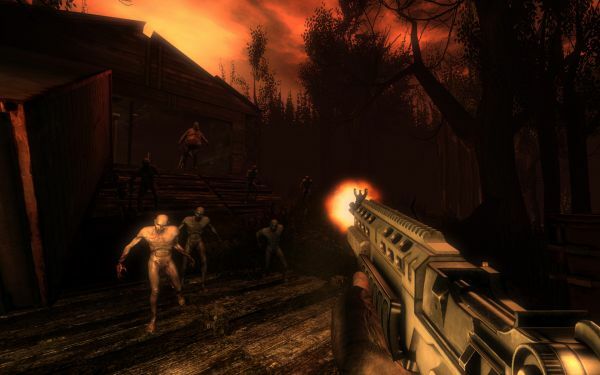 We were pretty surprised at how fun Killing Floor was when it was released earlier this year with its 6 player co-op gameplay. At first we thought it was nothing more than a Left 4 Dead clone, but we soon came to realize the game did quite a bit to set itself apart. There's been a steady stream of updates and content to the game, but now Tripwire has released the biggest blast of content yet as part of their Snowstorm event. There's four new cooperative maps available for the main game, each map is from the winners of the Grindhouse Map macking competition. There's a free total conversion called Defense Alliance 2 for the game that sets a versus mode in a futuristic environment with included laser weapons and swords. Finally there's a brand new co-op mode also part of Defense Alliance 2 called Specimen Survival and - you guessed it - it's a survival mode with waves upon waves of enemies. All of this content is FREE and available now simply by firing up your Steam client and letting the game update. Here's the list of the new maps. KF-Departed – Winner of second place in the final wave of the mapping competition, Departed is a visually impressive level set in an industrial city area outside of London..
KF-Crash – Winner of third place in the final wave of the mapping competition, Crash is an impressive remake of a classic custom map for the original Killing Floor mod. KF-FilthsCross – Winner of second place in Wave 1 of the mapping competition, Filth’s Cross is both incredibly fun and intense.